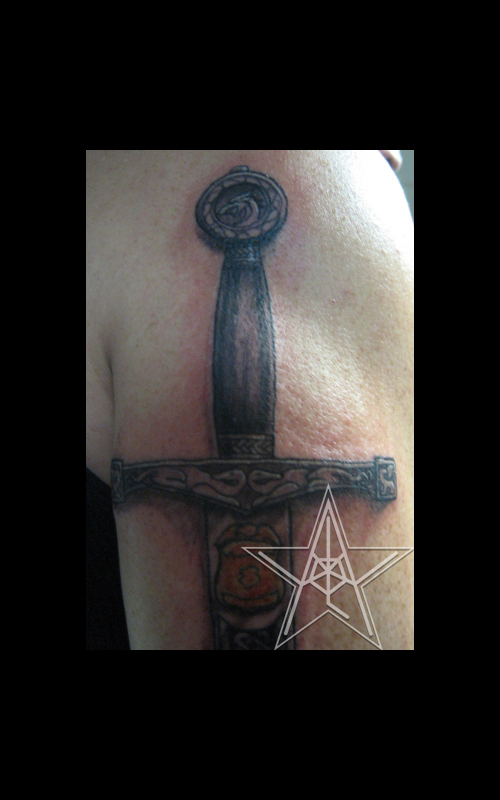 Celtic Stone Cross Colored Celtic Cross tattoo. Celtic Earth Air Water Fire Colored Celtic Elements tattoo. 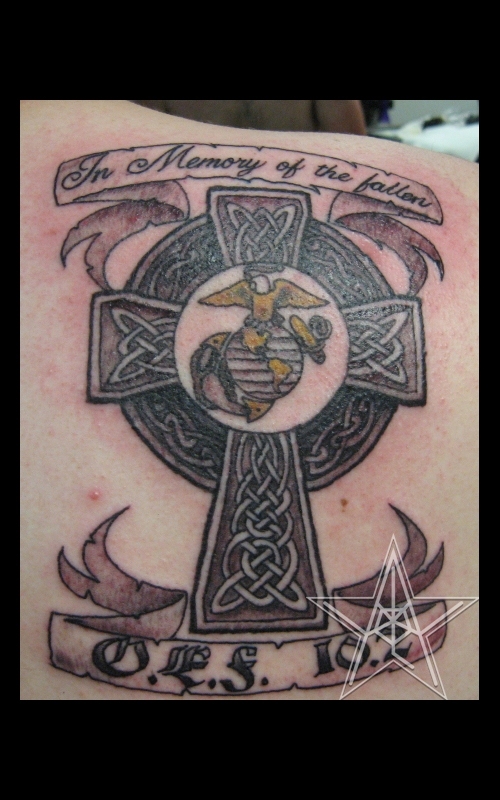 Celtic Marine Slightly Colored Celtic Cross Marine Corp tattoo. 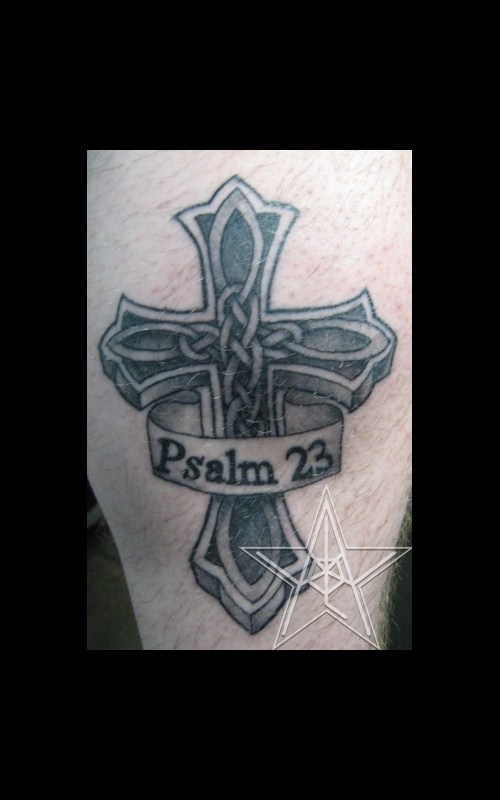 Celtic Psalms Black and Grey Celtic Cross tattoo. 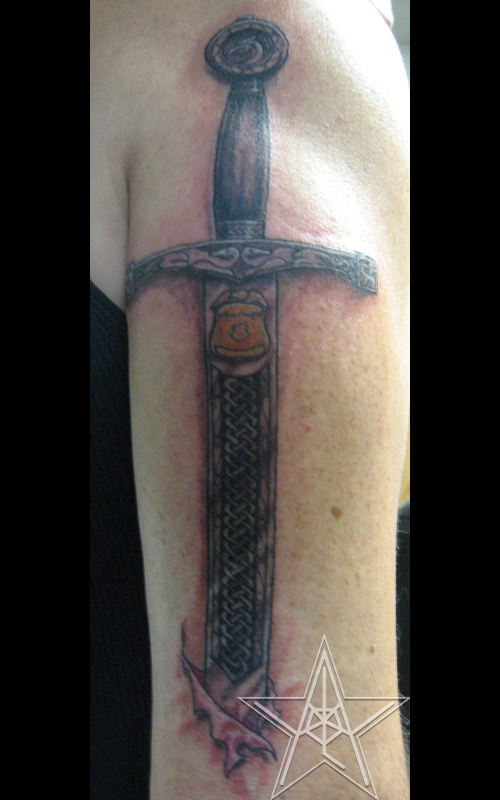 To Serve and Protect Slightly Colored Celtic Sword Police Officer tattoo. To Serve and Protect II Detail of the handle. 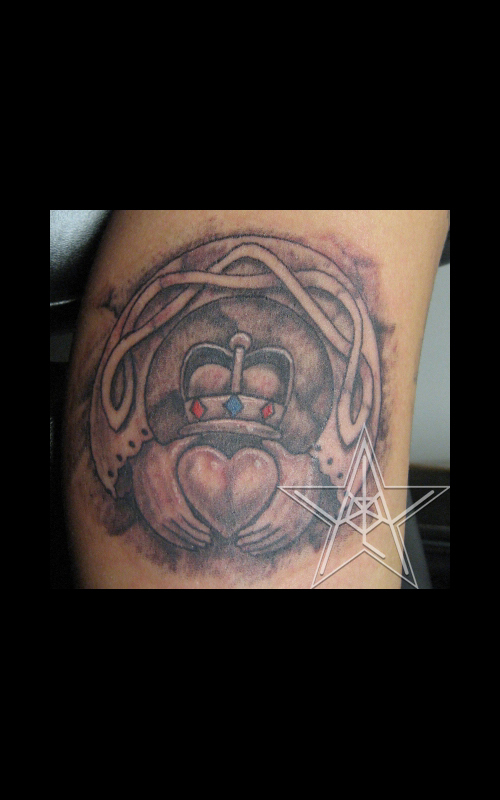 Celtic Gowin Black and Grey Celtic Claddagh with family name and daughter. 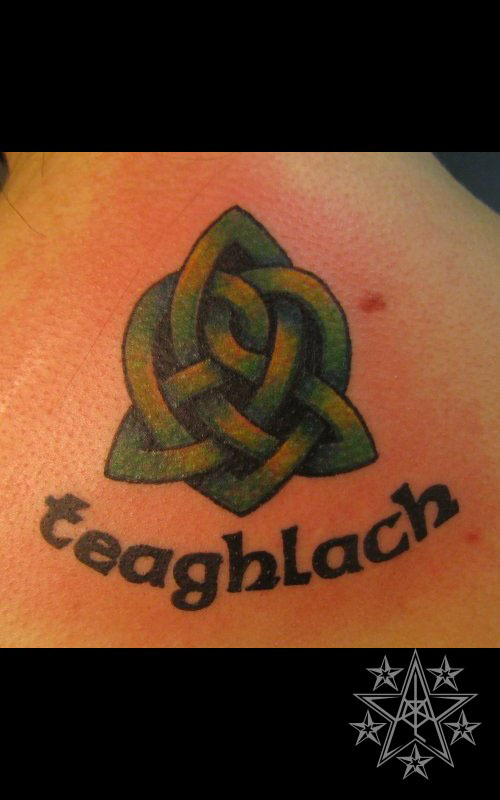 The Claddagh Black and Grey Celtic Claddagh tattoo. 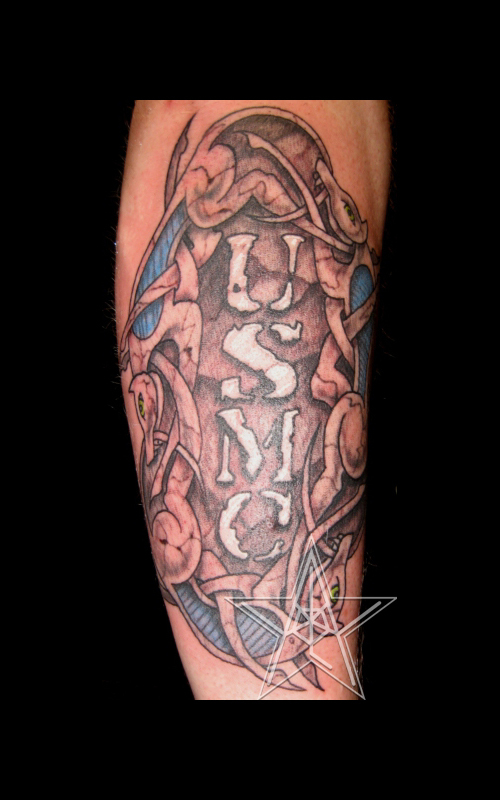 Let Loose the Dogs of War Colored Celtic Marine Corp tattoo. Colored Claddagh Colored Celtic Claddagh tattoo. Celtic Knot Simple Celtic Knot tattoo. 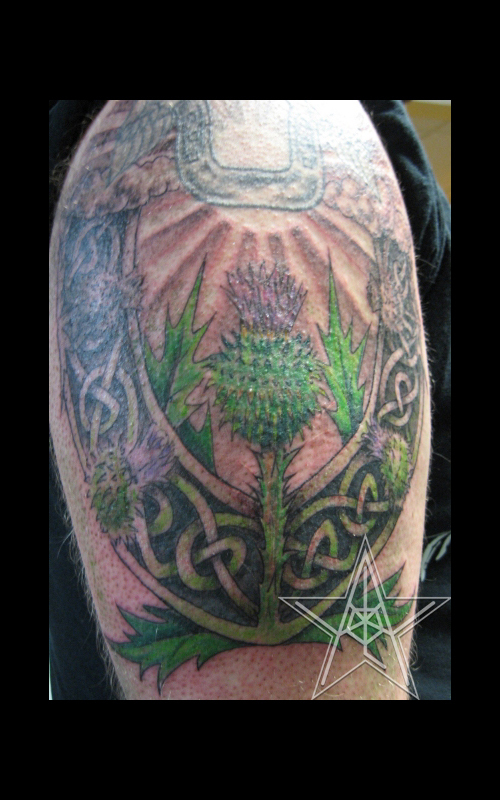 Celtic Thistle Colored Celtic Thistle tattoo. 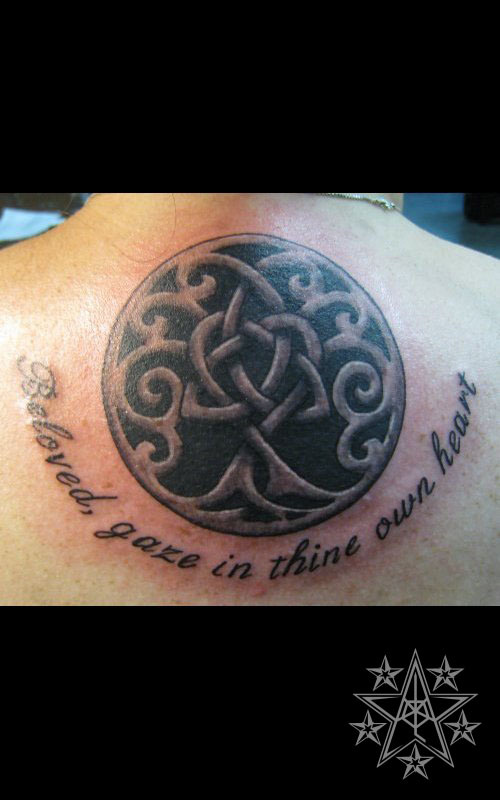 Celtic Tree of Life Knotwork tattoo with lettering. 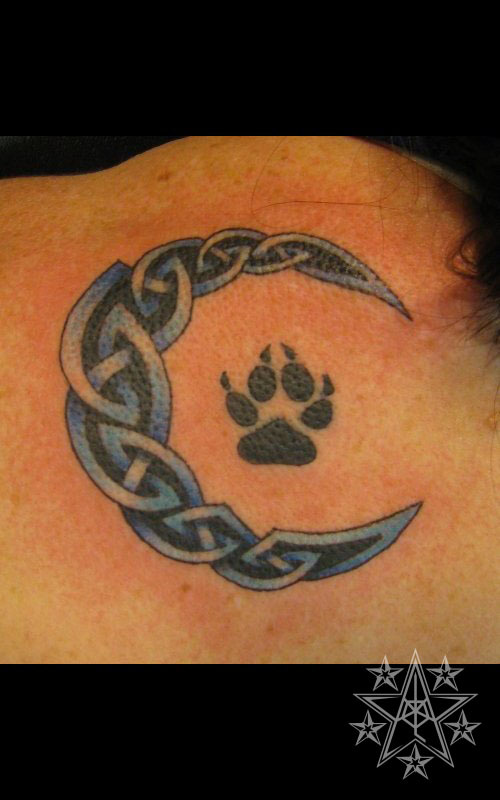 Celtic Moondog Knotwork dog paw and moon tattoo. 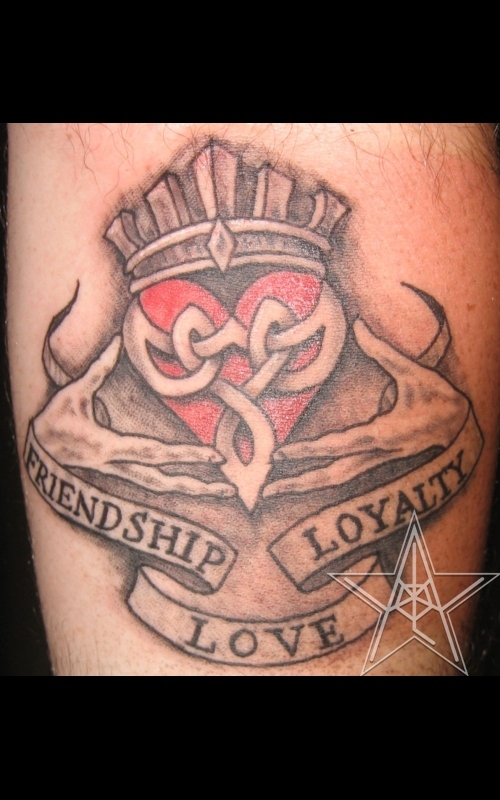 Love Knot Celtic heart triquetra tattoo. 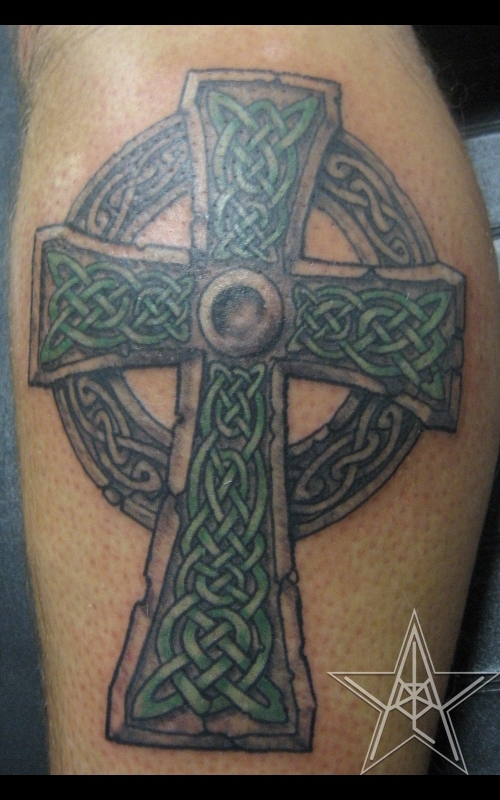 Celtic tattoos by Ray Reasoner Jr.
Celtic: A term used to describe highly intricate knotted designs that hail from the european midlands of old. This term was used to label the Scots, the Irish, British, and sometimes the Welsh though there is no actual record of these ppl ever really calling themselves celts. Their history goes back much further than those times. They are from a civilization that developed through many metal ages and evolved from rough, barely skilled carvers and pounders of metal into fine, highly spiritual artisans.